Francesco Martinelli is a jazz promoter, journalist, lecturer, translator and author. He is the author of magazine articles and monographs about Evan Parker, Joelle Léandre and Mario Schiano. Since 1999 he has taught the history of jazz and related subjects at the Siena Jazz Foundation courses as well as in other conservatories in Italy. He has lectured at NYU, Wesleyan and Columbia Universities in USA, at Bilgi and ITU in Istanbul, at the Paris Conservatoire Nationale, and many other institutions. His main research interests include the history of jazz in Italy, jazz's relationships with visual arts, traditional musics from the Near East, discography, and the preservation and restoration of sound carriers. 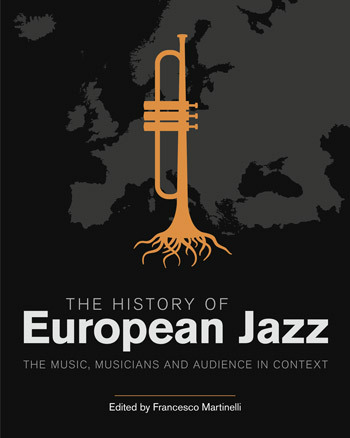 Martinelli is currently consultant for the Izmir European Jazz Festival and Director of the Arrigo Polillo Center for Jazz Studies in Siena, Italy's most important jazz archive. He has translated more than 10 reference jazz books into Italian and is a contributor to Rough Guide to Turkish Music.